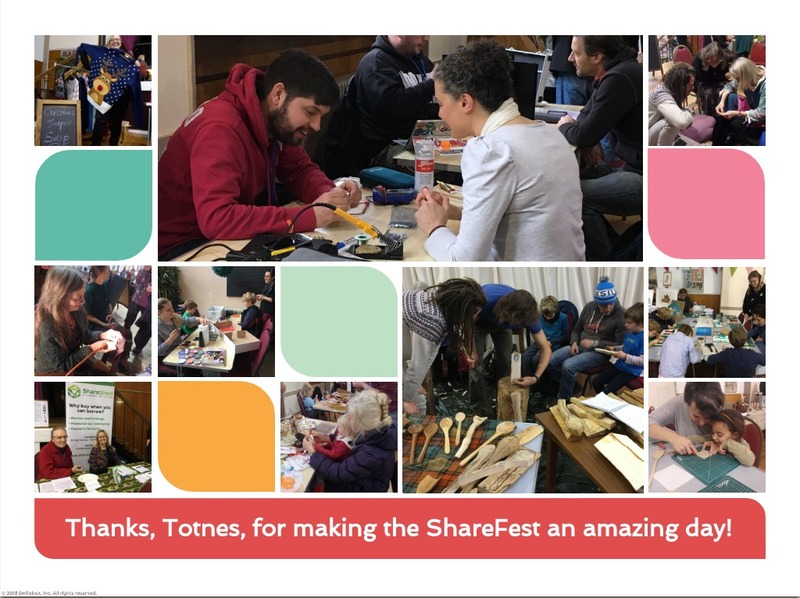 In partnership with Shareable and the Share Shed – A Library of Things, the Network of Wellbeing hosted the first ShareFest Totnes, in the south of England, which brought together over 800 people to celebrate sharing, repairing, swapping and making. 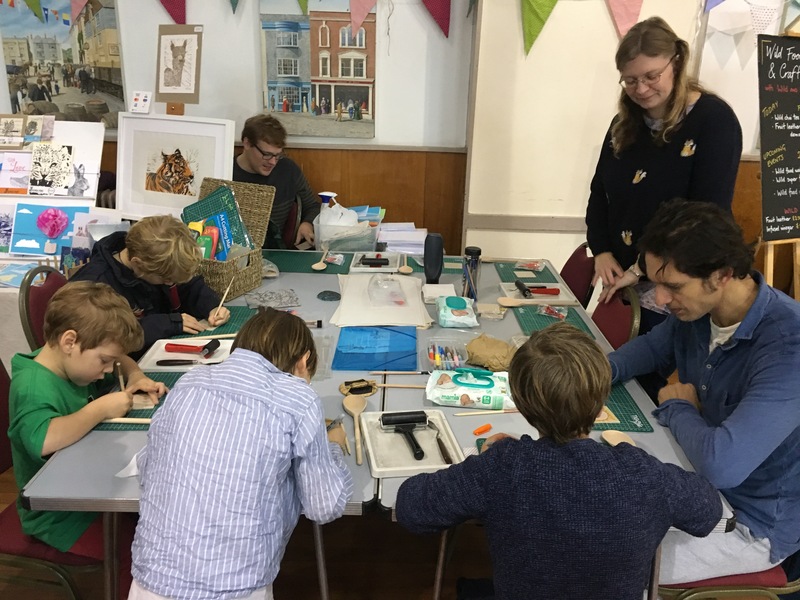 This event was part of the international Make SMTHNG Week, which supports and promotes a movement of makers and alternatives to consumerism, whilst also encouraging people to reflect about the principles promoted by Black Friday. The message of the event drew national media attention, and ShareFest Totnes was featured in The Guardian in a piece about alternatives to Black Friday. 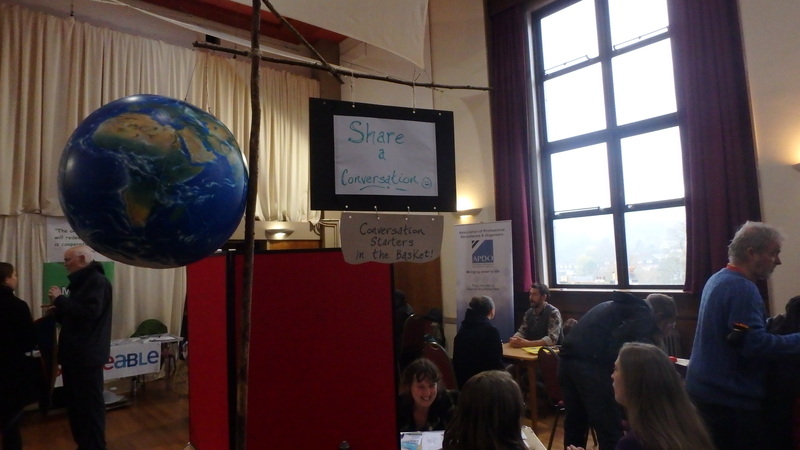 The ShareFest celebrated ways we can share, make, swap and repair rather than always needing to buy new things. Skillshare workshops at the ShareFest included lino-printed cards, screen printed bags, wild food cooking, spoon carving, sewing and darning. 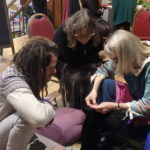 There was a Restart Party, supported by the Restart Project and Plymouth’s Library of Things, Borrow Don’t Buy, to help people learn how to repair their broken electronics, and rethink how they consume them in the first place. There were also talks on the story of sharing cities, and how to nourish creativity, as well as a variety of stalls, food provided by the Food in Community, and children’s activities using waste to create toys (junk modelling), which inspired and showed people how to live in a more collaborative, creative and sustainable way. One of the participants at the event comments: “It was an absolutely brilliant event! I got two things fixed and learned how to darn to fix a hole in a wool dress. I can’t tell you how wonderful it feels to not only have the use of my three items again, but to see and feel such a can-do atmosphere from selfless caring, sharing, fixing and mixing, thank you to all who organised and ran this”. The ShareFest idea was inspired by Shareable in order to create a real life model of the world we want, based in sharing – right now in our communities, towns and cities. The transformative experience of sharing is probably the most powerful way to change the story that we don’t have enough and that we need to sell our lives in order to buy happiness. 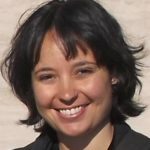 To share is to experience an abundant, caring, people-powered economy. The movement is growing and a ShareFest can be a powerful way to kickstart the sharing economy where you are. 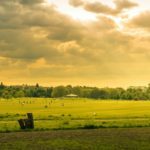 You can find some helpful tips on how to organise a similar event here, and to learn more about the real sharing economy check out the webinar we recently did with Tom Llewellyn from Shareable. We’d like to thank all the contributors, volunteers and participants for supporting this adventure and contributing to a more collaborative, resourceful and caring world.